You must buy a minimum of 3 due to manufacturer packaging. 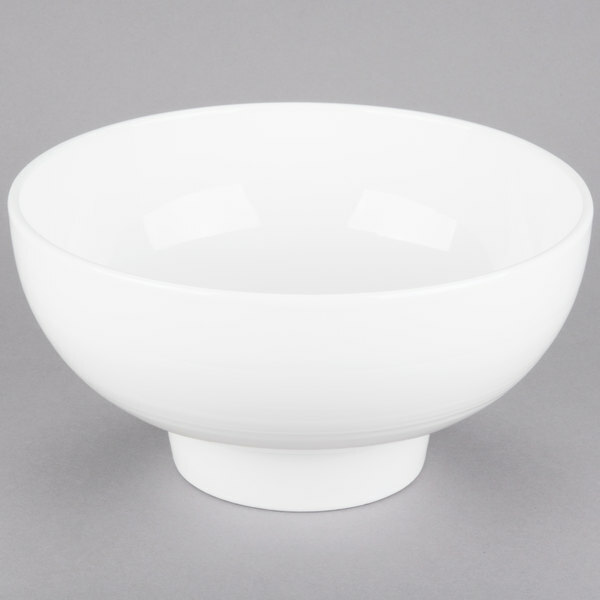 The American Metalcraft Prestige PFB10 porcelain footed bowl is a classic and upscale way to serve any delicious soup, salad, pasta, or stew at your cafe, restaurant, or catered event. 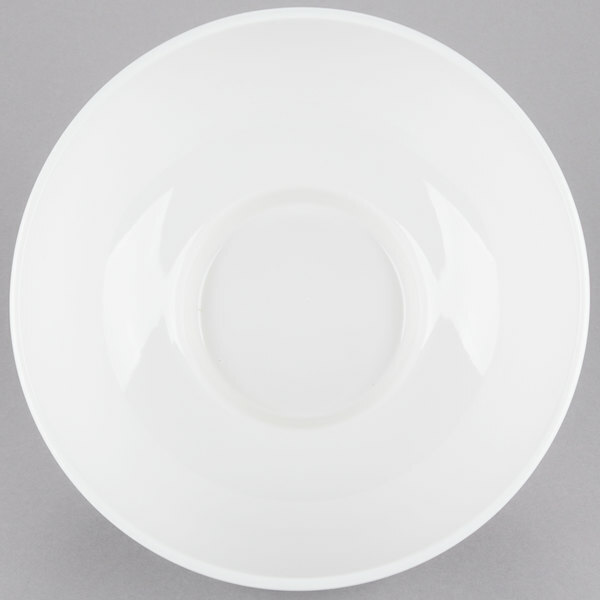 A raised base sets this bowl apart from any other and is sure to impress your guests and complement any meal and occasion. Re: American Metalcraft Prestige PFB10 3.89 Qt. 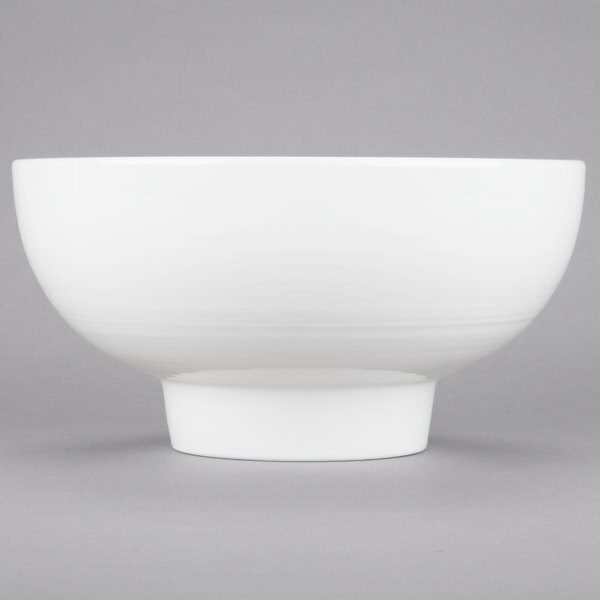 Porcelain Footed Bowl: I'm giving this bowl one star because it arrived with a small defect that looked like a crack in the glaze that had browned over time. Not sure what it actually is, but I'll return it. 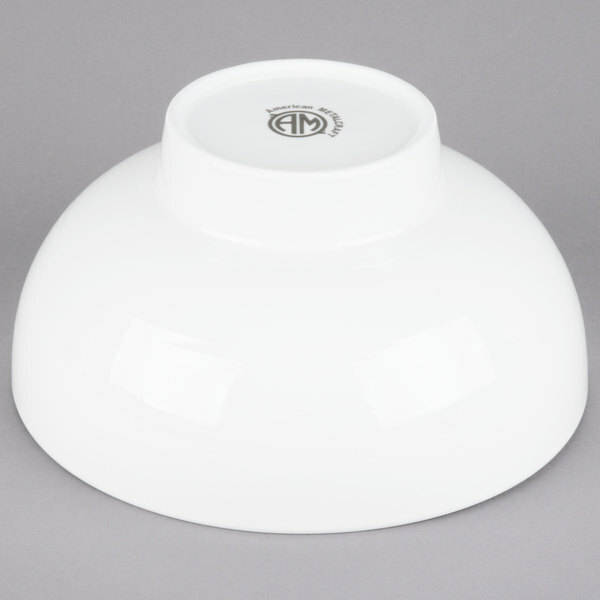 Also, I'm not at all happy with how bulky the bowl is, almost like it is ceramic, not porcelain. 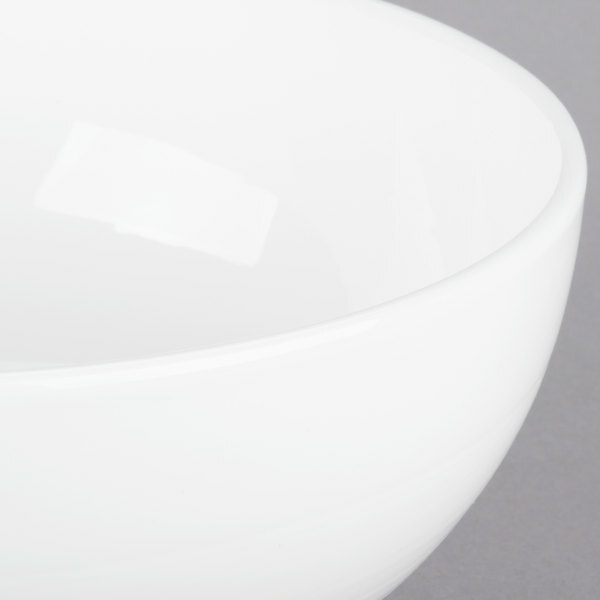 I'd find it hard to believe that this bowl would be durable, chip resistant and/or could withstand oven temperatures without cracking the glaze. It's a pretty bowl though! Thank you for your review! 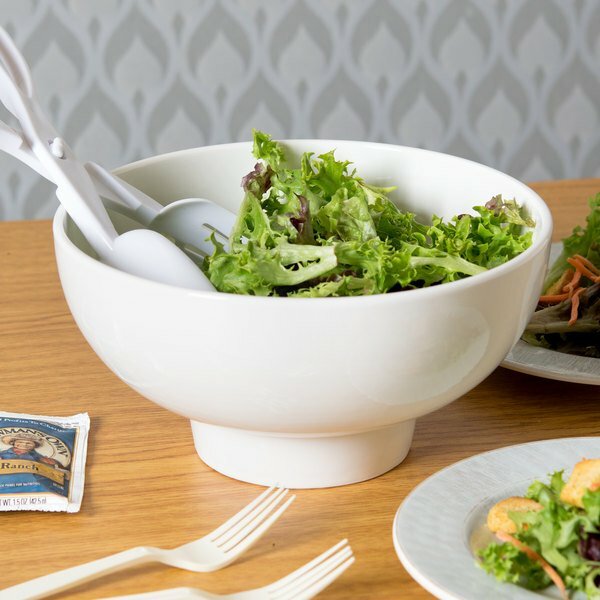 We're sorry to hear you're not happy with your bowl. A Customer Solutions Representative will remain in contact until the issue is resolved.